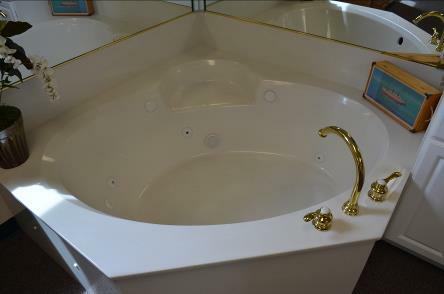 This large capacity 5’ x 5’ corner tub, is accented with a practical recessed seating area. The corner configuration provides ample room for whirlpool installation. 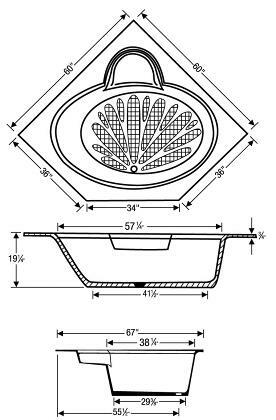 It features a larger square deck area, 19” depth and a slip-resistant bottom.